Over the last couple of years, whilst investigating the reality surrounding the true state of our UK fisheries, I’ve been startled on more than one occasion by the scale of ignorance of actual stock levels, as witnessed by fishermen on a daily basis. To my mind, overfishing in the UK is largely a thing of the past. Yes, there are always areas of stock improvement to be addressed, but listening to fishermen around the coast from Peterhead to Newlyn, the overriding message is that generally fish stocks are, if not already at MSY (Maximum Sustainable Yield) then not far off. Populations by their nature will never remain static and indeed perpetually be in flux due to a whole range of variable criteria, but the numbers of different commercial species seen now, inshore, are seldom reflected in monthly quota allocations or TAC (Total Allowable Catch), which in the Non-Sector fleet can and is proving an economic disaster. Below is a piece I’ve just written, demonstrating just what it’s like for a single-handed trawler owner/skipper to be deprived of catch opportunities, which flies directly in the face of Article 17 of the Common Fisheries Policy and if perpetuated, will undoubtedly further the demise of not just our inshore fishing industry, but rapidly accelerate the depletion of the economic fabric necessary to sustain viable communities. It’s heartbreaking to hear these stories, where for the sake of a bit of experience and bottom-up, joined-up thinking, economic hardship could be averted and desperation avoided, allowing honest hardworking and contributing folk to do what they’ve always done. Fish for a living. 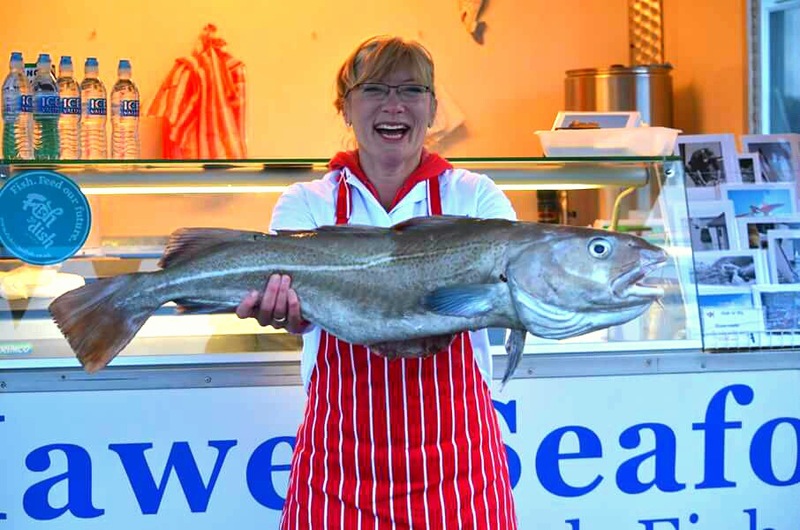 Firstly, just watch this video taken by Cornish fisherman Peter Green and posted to the Skipper Magazine‘s Facebook page, which demonstrates in graphic detail, his frustration with the policy that prohibits him landing fish that are abundant, sustainable and saleable. A travesty which could be avoided by people listening and just doing their homework. No stronger and more heartfelt plea to leave the EU have I heard from anyone, until now. 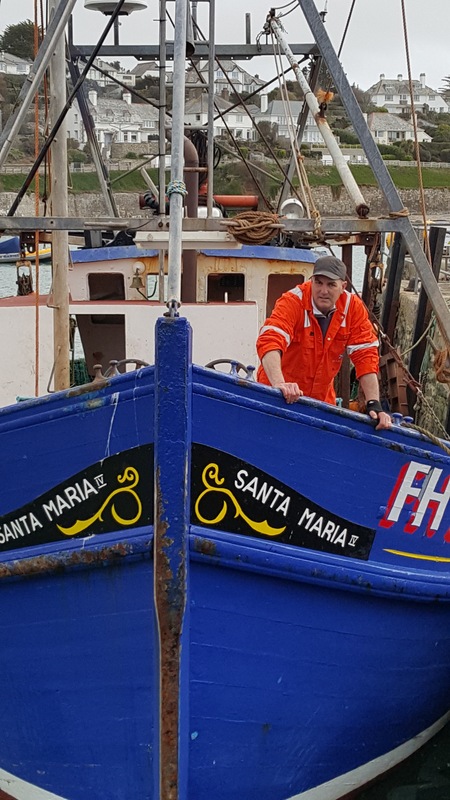 Speaking to St Mawes trawler skipper, Peter Green, towing 9 miles off the Cornish coast this morning, has again alerted me to the fact that Brexit really is the only solution for many UK fishermen. A story of dissatisfaction and frustration is now rapidly becoming a tragedy of bitterness, woe and angst for guys like Peter who, as Non-Sector operators, have to rely on the monthly and laughable (if it wasn’t so deadly serious) TAC’s for species that have been traditionally fished inshore, in the waters of the South West and continue to be, at highly sustainable levels. With lemon sole his favoured target aboard his vessel “Santa Maria IV” and a ready market through his wife Angie’s fish stall in the town, things have been grim lately for the Greens. Peter tells me with acute concern of his worries that with slightly less seasonal sole on the ground of late, his effort to catch more has been hampered by the choking abundance of healthy and mixed class sizes of haddock, which bizarrely and most cruelly he has zero quota for. Just recently, angered and exasperated by the situation, Peter posted a video demonstrating the issues he faces in having to discard perfectly saleable, quality fish and why his effort is becoming ever more restricted. 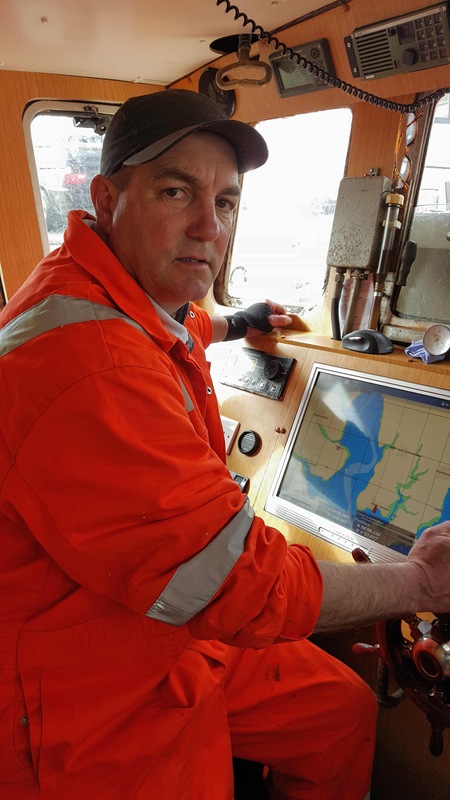 Whilst French and Belgian trawlers work happily with available quota round the clock inside the 12 mile limit, Peter faces financial insecurity on a potentially terminal scale. Angie Green worries for her husband and family. Times are getting harder for them, unable to afford holidays and the trappings of other more lucrative professions, she diligently manages her fish stall, trying to add value to Peter’s catch where she can. She’s understandably worried for their future, eking out an existence, where every roll of the EU dice throws up another hurdle. I ask her to what extent the pressure they’re under commercially impacts on family life. Her reply is passionate and tinged with an emotional quiver of desperation, as she reveals her innermost fears. “My husband is a hard-working and principled man,” she asserts. “This is his life, our life. “It’s heart-breaking to see him and his business being systematically dismantled by policy that has no regard for individuals or communities and their succession. It’s not as if the fish aren’t there either, populations may come and go with the seasons, but realistically there are plenty of fish here now. It just doesn’t add up with what the government tell us”. 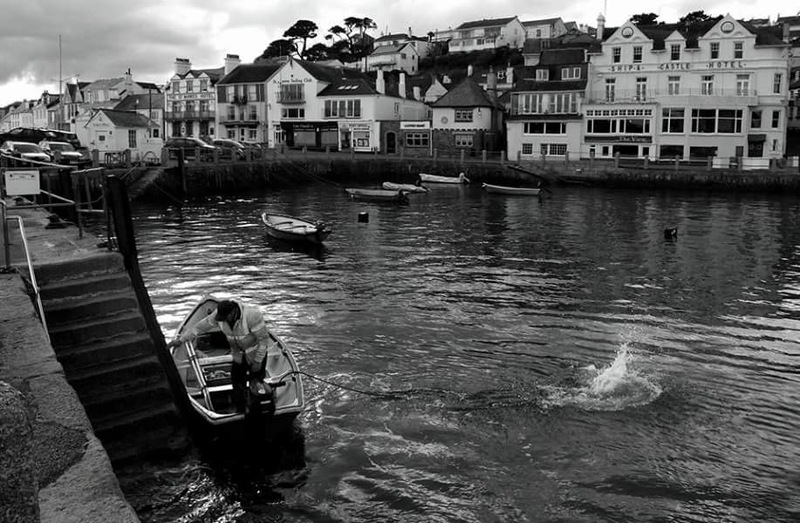 “Peter is a highly respected figure round here, and visitors flock to the harbour just because of the local fishing industry and to meet and talk to people like him. We’re traditional fishermen, and left to our own devices, the best conservationists. Why won’t scientists and politicians actually listen to those who know?” she implores. A laudable sentiment, for any business owner, but even hope hangs in the balance here and I suspect the government’s recently delivered booklet on why we should remain in Europe, has just become ash in St Mawes and many other likeminded fishing communities. An excellent and very, vary sad insight. I never understood how clinical bureaucracy can override common sense and years of experience. All first hand parties are made to suffer, fish included. Many thanks for another excellent article. Thanks Jeanette, it was a great piece to write, but also quite testing, in absorbing and then portraying the emotions involved. I always appreciate your comments.